Nearly an entire year after it was first outed to be in development, we finally have an image (and video!) of Totaku's Mega Man figure. As you can see, this little guy is based on a piece of Mega Man 11 key art, featuring a Block Man stage-themed base and packaging. You can see more of the figure in a video posted to Totaku's Instagram page here. The Mega Man Totaku is expected to hit retailers in late May, the company says. Keep your eyes peeled to GameStop's Totaku hub for pre-orders. Hope that's not the final product. Proportions are pretty wonky. I feel that the buster needs to be a bit bigger on this. His proportions seem kinda off. Why that pose? It relies entirely on perspective and shouldn't be relayed in a physical form. Proportions are not right and people just don't care if they was signed off on for mass production. 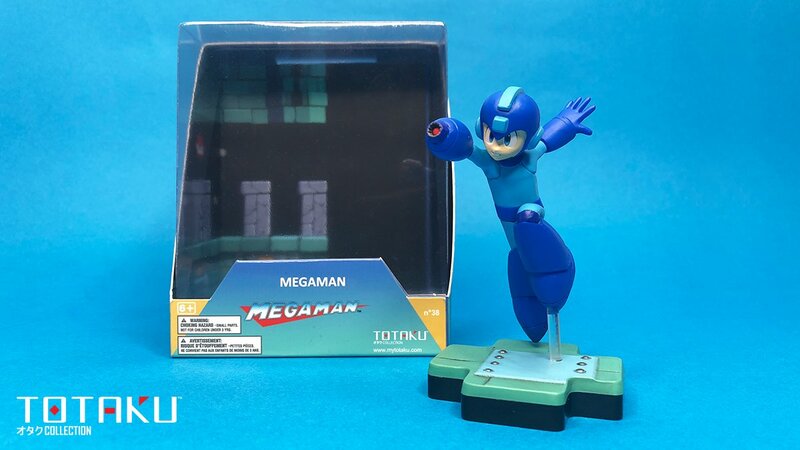 Usually i'm all for new Megaman figures but this looks really off proportionally.